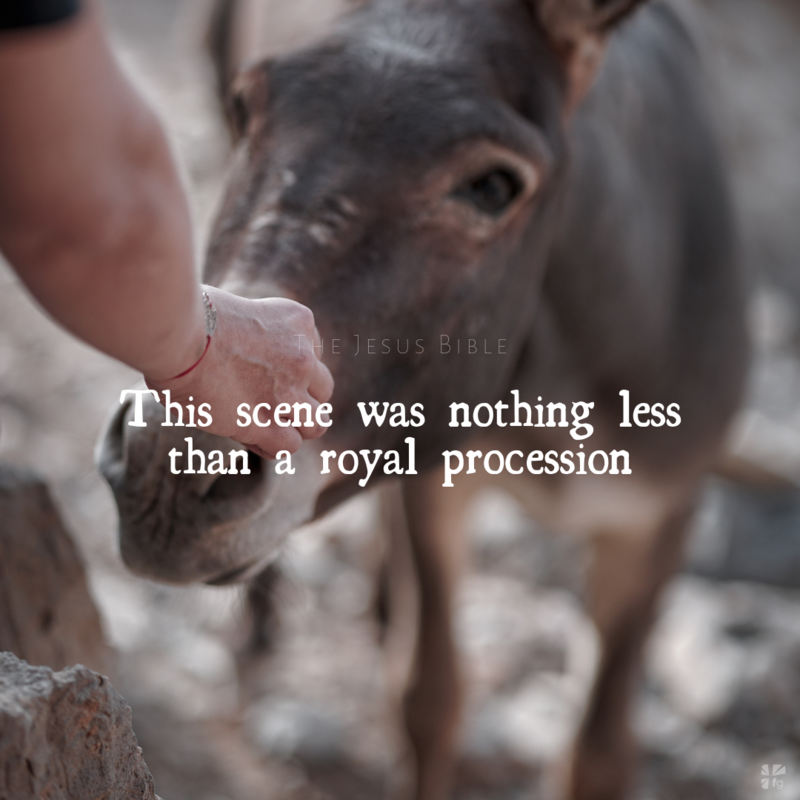 While most royal processions feature incredible extravagance, Jesus humbly entered town on a simple donkey. While horses were ridden during times of war, rulers rode donkeys during times of peace as a sign of humility toward the people (1 Kings 1:38-40). Here, Jesus exemplified the peaceful return of a king to Jerusalem. By riding on a donkey, He showed that He came to bring grace and not judgement. Also, it is significant that Jesus rode a colt, which is a young and untrained donkey. Normally, it would be incredibly difficult for someone to ride an unbroken animal through a crowded and chaotic scene with an unfamiliar burden on its back. But this was Jesus, Creator of the world! This scene was nothing less than a royal procession (2 Kings 9:13), yet up until this point, Jesus had consistently avoided such displays (Matthew 8:4, Matthew 9:30, Matthew 12:16). However, He was now ready to present Himself publicly as the Messiah and King. This was Jesus’ last trip to Jerusalem, and He chose to enter in such a way as to leave no doubt that He was the promised Messiah who had come to save the nation. No one in the city could possibly miss the procession or the prophecy-fulfilling reference Jesus’ entry conveyed. It’s Palm Sunday! Hosannah! Many have known the story of Jesus entering Jerusalem on a donkey since they were little kids, but did you know why He did? Fascinating! Jesus fulfilled prophecy after prophecy after prophecy so that there would be no doubt who He is. Do you know Him? Come share with us on our blog. We want to hear from you!